Shanghai Universal Biotech Company Ltd.
Shanghai Universal Biotech Company is a Carna's official distributor based in Shanghai, China. 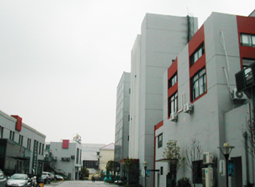 Founded in October 2004, growing very fast as the antibody and related biological product supplier in China. Dealing with antibodies, proteins, assay kits, cytokines, kinases, antibody arrays, and cell signaling inhibitors. Our clients are universities, Institutions, pharmaceuticals, hospitals, and individuals. Currently, we have 3 offices in China, and will plan to set a new office in Guangzhou in 2010. We accept orders by telephone, fax, and email at each branch office above.